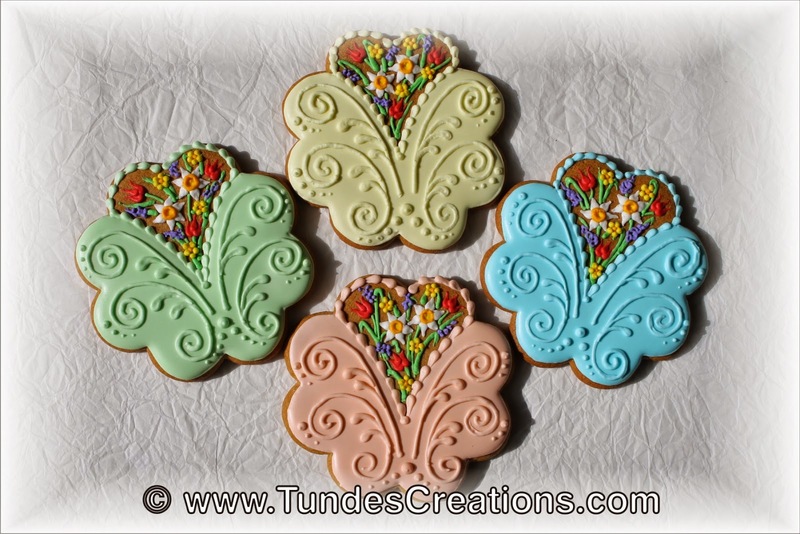 I love spring flowers, so I decided to make some Easter cookies with them. 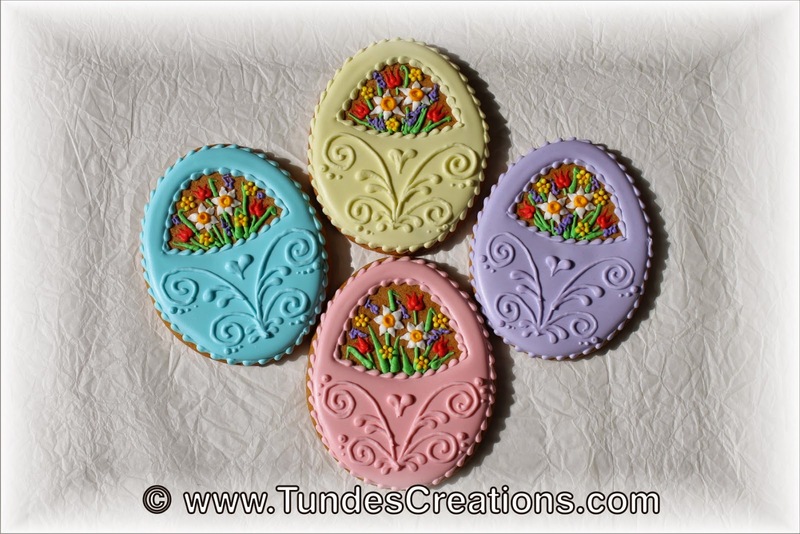 Easter egg shape can make a nice basket, so this flower basket was a natural choice. 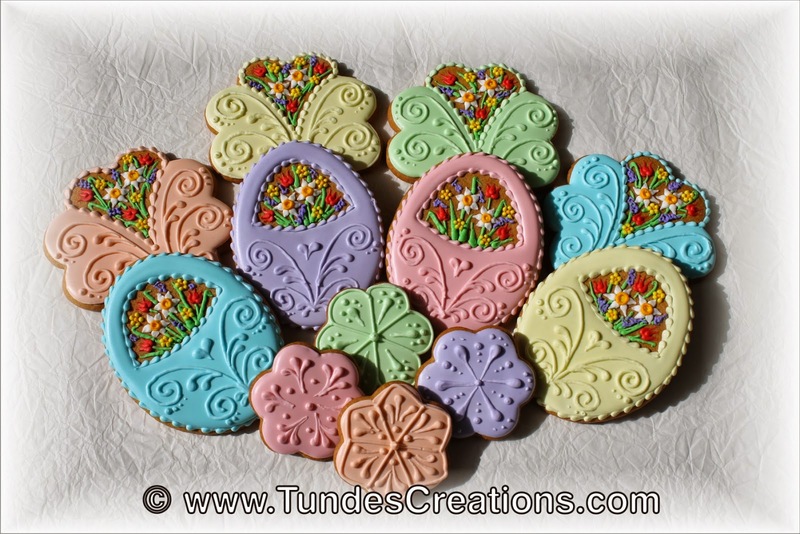 My first idea was to make a basket from this flower shape as well, but I changed my mind and left a heart shapes opening instead.